Re: What have you folded lately? Yup, I had dreamed of folding this since grade 6. So quite an achievement! 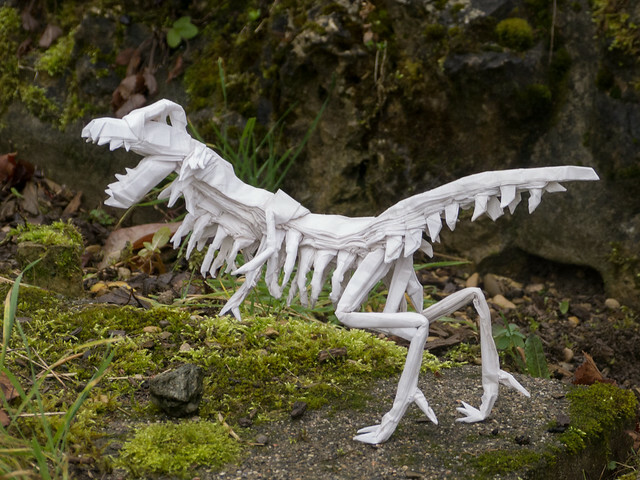 I just finished the T-Rex skeleton from Issei Yoshino, which consists of 21 square units. 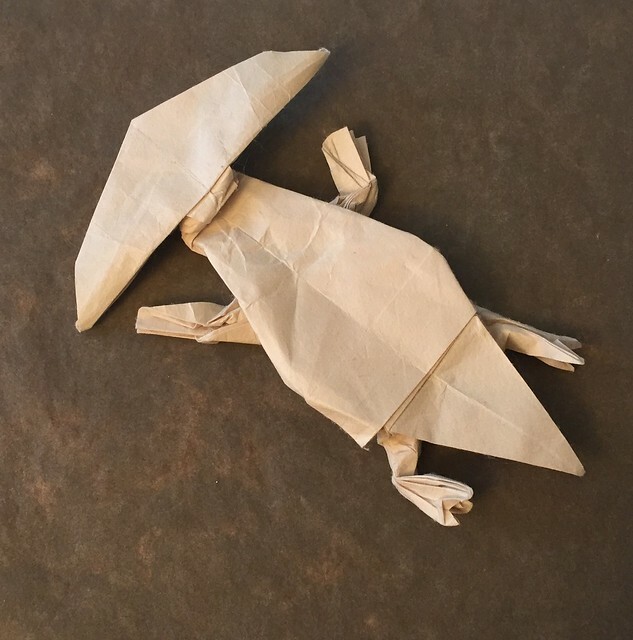 While doing it I wondered if it's possible to fold it from a single square. Great food! You might try making the legs a bit thinner. Great job, though. It’s so clean! Hi everyone. These are quick pictures I took of boxes I had folded for Christmas. Sorry for only showing them now . Folded from 24 caliber 56 x 56 cm (22 1/16 x 22 1/16 in) bond paper. I needed a dense paper ASAP and I only found that. Folded from what's locally called "arte" paper of 20 x 20 cm (7 7/8 x 7 7/8 in). 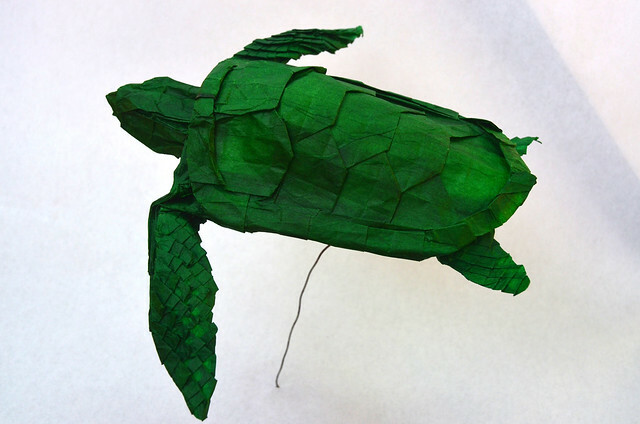 I've always wanted to fold a sea turtle after seeing this amazing turtle by Kei Watanabe. 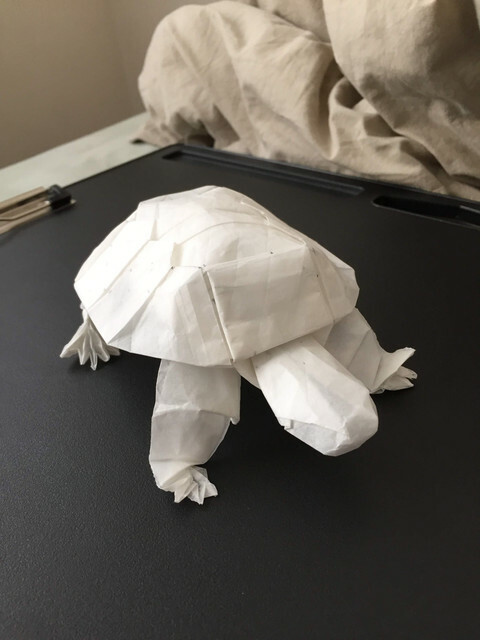 Suprisingly, adding the scales on was one of the easier parts - I just had to make sure to leave enough paper at the top create transitions from pleats ryujin-style. The hard part was transitioning from the shell (which was the first part I designed) to the rest of the model. There are still some things I'd like to improve, like trying to lengthen the neck, but overall I'm very happy with this model. There are more photos from different angles on my Flickr page. That’s so neat! How did you make it? Ha-ha... you didn't exactly fold it lately Ponadr . Anyway, looks very attractive! How did you make it? 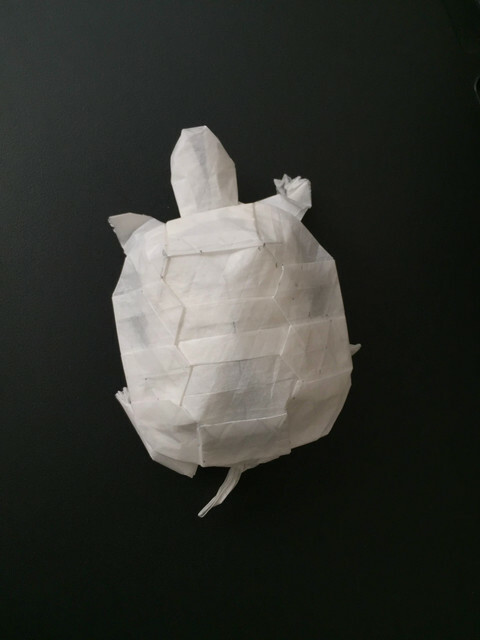 Folded from plastic materials. As you can see, it employs the twist fold. I don't remember the dimensions of the original rectangle, nor the one I used for the following bracelet. 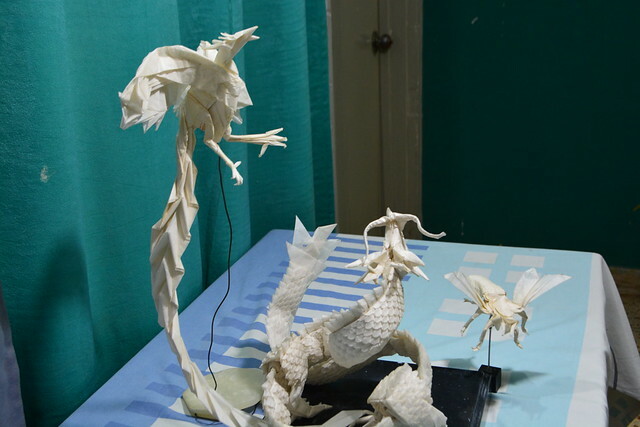 Folded from fiber tissue paper and other plastic materials. This one employs a variation of the twist fold similar to a pinwheel. I don't know if someone is credited for this variation . Last edited by Gerardo on January 6th, 2019, 2:39 pm, edited 2 times in total. My mom's been making quilts for a long time. 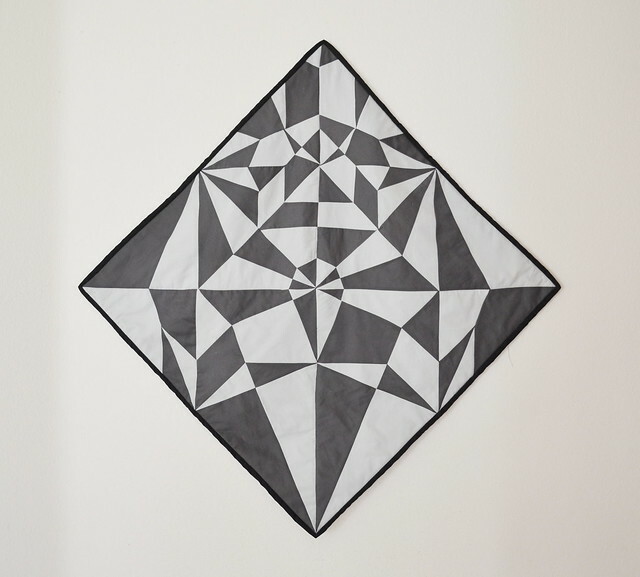 It's about time I made the connection between quilting and origami. 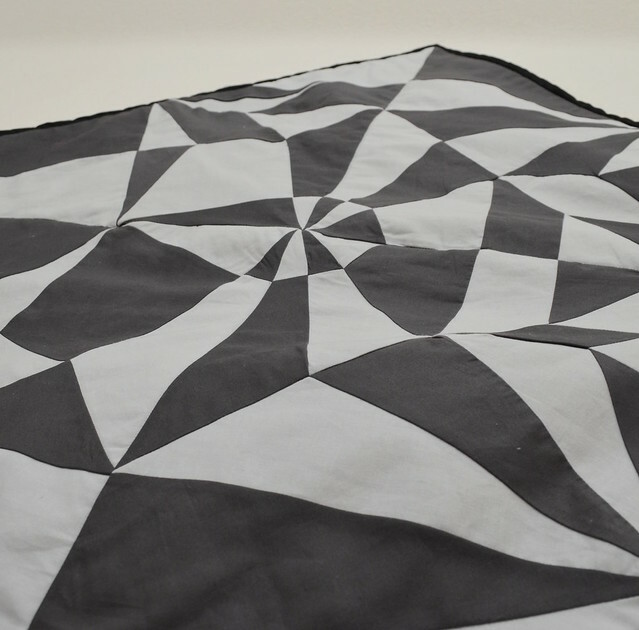 As for making the quilt, I selected the colors and cut out the shapes, the rest was my mother. Awesome bracelets, do they lock in place fairly well? Thank you thedeadsmellbad! I love compliments . I feel very flattered. I'd love to answer your question. Can you please explain to me what you mean by "lock in place"?